Finding Facebook video downloader is easy. Finding a brilliant Facebook video downloader is a bit more difficult. Finding a feature-rich online video downloader that supports downloading online videos from numerous sites is a different story, though. Luckily, you can find such a superb freeware here. 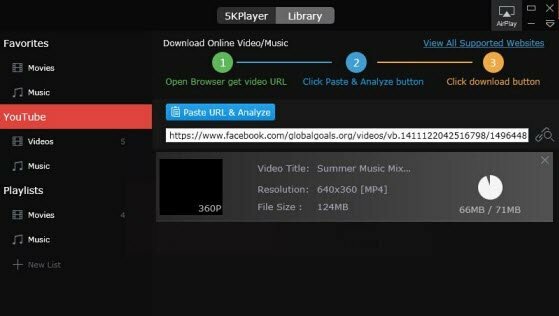 5KPlayer is an amazing Facebook video downloader that gives you a way to download videos from Facebook speedily free of charge! How to Download Videos from Facebook for Free? You need 5KPlayer, a cutting-edge free Facebook downloading software, to download video from Facebook with nary a nickle. This free Facebook video downloader gives you an opportunity to download videos from Facebook free of charge and at a full speed. Facebook, one of the most popular online social networking service, has delivered 1 billion video views per day since September 2014, which is surely a large figure. It was reported that views grew 50 percent from May to July, proving its unbeatable popularity. On the other hand, users have stronger demand on downloading Facebook videos and saving Facebook videos on portable devices. Here, you'll find the right solution. 5KPlayer that focuses on downloading Facebook videos can be defined by one word: amazing. This free tool's key power lies in allowing you to download video from Facebook at a neck break speed free of charge, needless of plugins. Moreover, this wonderful Facebook video downloader enables you to download Facebook videos regardless of formats and resolutions, be it SD, HD, 1080p, 4K, 5K, Mp4, MKV, FLV, WMV, etc. Besides, it is capable of downloading hot free movies, movie soundtracks, hit singles, TV shows etc. from over 300 sites including Facebook, YouTube, Dailymotion, Vimeo, etc. This well received tool is 100% clean, no virus, no malware, no plugins. Owing to user-friendly interface, it requires no experience, even novice users can get hang of it quickly. Follow the guide below and start to downloading Facebook videos right now. Step 1: Download and launch this superb free Facebook video downloader. Click "Library" button on the top of the main interface. Alternatively, you can click "YouTube" button on the main interface to enter video download interface. Step 2: Copy the entire URL of Facebook video and paste it to the box frame. Keep in mind that correct URL is required. Once you've pasted the URL correctly, it will display detailed information on the interface. 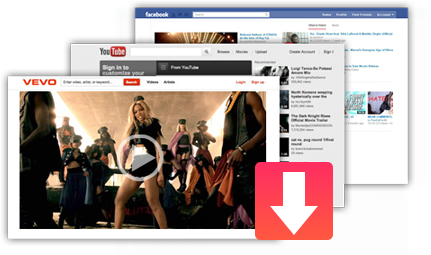 As a matter of fact, you can paste correct URL from any sites like YouTube, Vimeo, VEVO etc. to the box frame. Step 3 : Press "Download" button to start to download Facebook videos free. Note: If you want to convert free downloaded videos to audio format like MP3, AAC, click "Convert to MP3" and the whole task will be done in a few seconds. The best-ever Facebook video downloader has plenty of interesting tricks inside it. Apart from downloading online videos from over 300 sites including Facebook, YouTube, Dailymotion, Vimeo, etc. 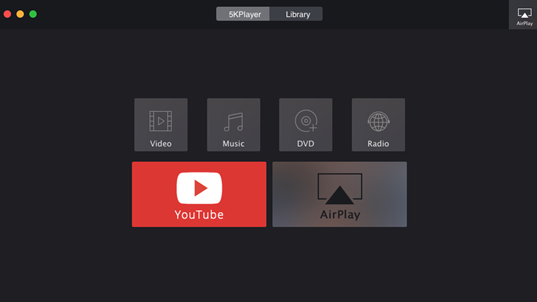 it is useful in many circumstances, for example, freely playing 4K video, playing MKV video file, AirPlay video audio from iPhone iPad to Mac and more. Here is the top 15 video sharing sites list for you to download or upload videos, movies, audio videos in different resolution. Here the all-conquering 5KPlayer addresses your needs to allow you download YouTube to MP3 music for playback.